This year I had the pleasure of attending the CTN Animation Expo in Burbank, California. This is my third year and I must say, third time’s a charm because I had an absolute blast! I wandered the Expo hall and saw a few familiar faces including Sherm Cohen, Scott Peterson, Mark Kausler, Tom Hignite, Jason Ryan, Jerry Beck, Tom and Tony Bancroft to name a few. I spent a good hour or so on Friday at the Toonboom booth chatting with John Krisfalusi (pictured above) and the crew from his Cans Without Labels short. It was great getting to meet some of the younger talent working on that film and also catching up with Jim Smith who is known for his work on Ren & Stimpy. The Toonboom crew was also giving a presentation at the time of some of the tools in Harmony such as their pencil line technology, deformation technology, and the new particles plug-in. 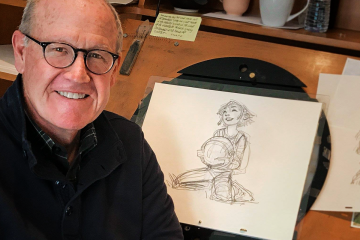 I also got to see Glen Keane’s animation demonstration. it was such a great demonstration from an animation master. He animated Ariel from “The Little Mermaid” up on the monitor. He answered questions from fans and animation enthusiasts. Here is some video of his panel. The Gravity Falls and Hotel Transylvania panels were FANTASTIC. Gravity Falls is a great hand-drawn TV show that I highly recommend checking out and it was great getting to see their process. The highlight of the Hotel Transylvania panel was definitely seeing Genndy Tartavosky’s hand-drawn short Goodnight Mr. Foot. I also liked seeing how the crew at Sony was applying traditional animation techniques to CG to get a looser feel to the animation. There was some great artwork at that panel as well. My only regret was not being able to attend Andreas Deja’s panel, but from what I heard it was great! If you were one of the lucky ones who saw him speak, please comment and let us know how it was. I know I will be attending next years CTN; every year they never cease to amaze me. 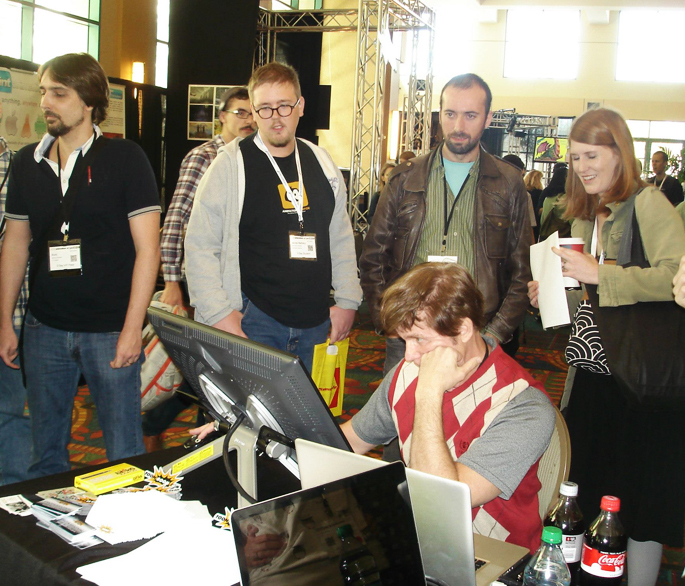 Thanks CTN 2012 for a great experience! "Pups of Liberty" now available on DVD!